This weekend, rabbit protection groups around the country will be holding outreach events outside of 40 Whole Foods locations in order to raise awareness about the fact that Whole Foods is now selling rabbit meat. Since I know other vegans/vegetarians and animal advocates have similar questions, I thought I would turn my response into a post here. We’ve looked closely at Whole Foods’ new standards (see here for a close analysis) and the reality is they are not very humane at all. In between all the nice language about the rabbits being able to live in group housing, there are so many exceptions and qualifications for the producers that it is clear that the growers still have the leeway to raise the rabbits much the same way as they have already been raised. The cage sizes for the babies is still the same inadequate size, females can still be kept isolated, and babies are still weaned at a ridiculously young age. They’ve also said that their slaughter methods will be humane, but while there will be stunning, we’ve looked at this, and this is not a foolproof method of rendering rabbits unconscious. And, as many people would be unhappy to learn, even though Whole Foods says there will be USDA inspectors onsite to monitor slaughter, they are not there to protect the rabbits from suffering, but to ensure that the meat is safe for consumption. Finally, to the question of species specific outrage. Yes, we are rabbit rescuers, so yes, this is how and why we got into this fight. But the reason we hope that animal advocates and vegetarians/vegans join us (and we would want people to know that many of us fall into those camps as well) is because Whole Foods is setting a dangerous precedent here, and not just by adding a pet species to their meat cases. By adding rabbit meat to their stores, which has historically been a very marginal meat in the United States, eaten primarily by the poor, and over the last couple of decades by a relatively small group of foodies, they are attempting to create a mainstream demand for it. In 2007, 979,563 rabbits were slaughtered at USDA facilities in the United States. 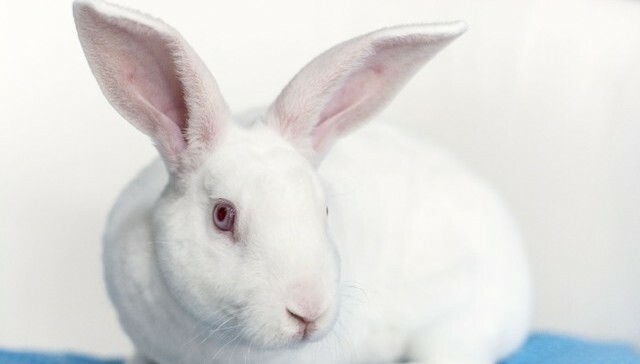 (Since these processors opted for voluntary inspection that means the rabbit meat was most likely sold to restaurants and markets, while the rest of the rabbits killed that year (and every year) were raised and slaughtered by small growers.) In comparison, 74 million cattle, 84 million pigs, and almost 9 billion chickens were slaughtered for meat that year. 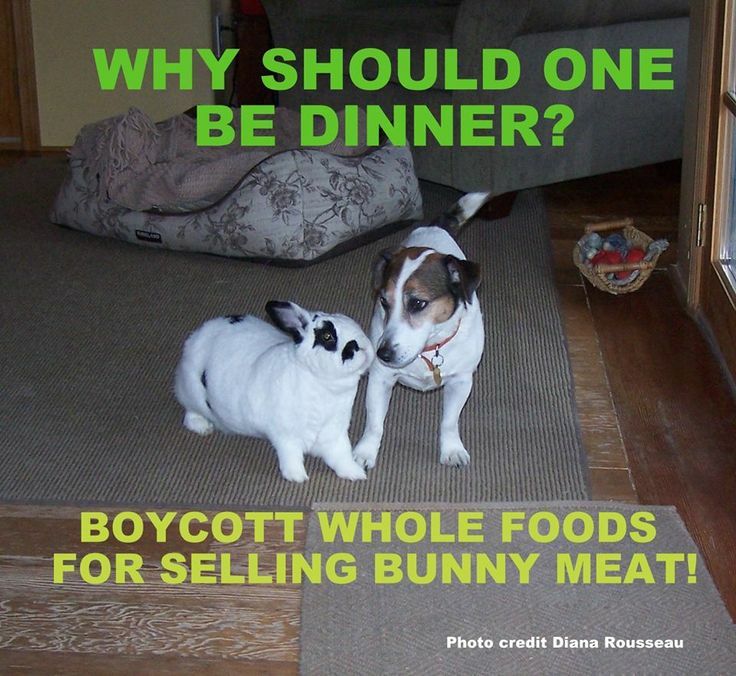 If Whole Foods were not adding rabbit meat to their stores, rabbit meat would remain a fringe meat in this country. But Whole Foods is one of the five largest grocery chains in the United States, so this decision can and will mean that rabbit meat will not only be sold in one of the largest grocery chains in the country, it will open the door for the other major chains to do the same. Millions more rabbits will die every year for a demand that Whole Foods is essentially creating. So, yes, we do care about rabbits. But as animal advocates, we also don’t want to see more animals killed each year. Whole Foods provides an important service to vegetarians, vegans, and other people who want to buy products that were produced humanely. Adding rabbit meat to Whole Foods would be a major step backwards, in our opinion.